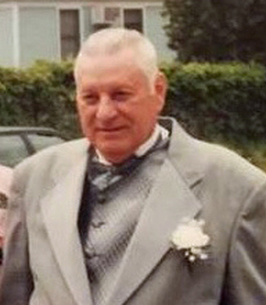 Robert (Bob) G. Oliver, 84, of 80 County Route 60, Gabriels, died peacefully Saturday, November 10, 2018 at his home. Born in Waddington, NY on May 18, 1934, he was the son of Murray and Lena (Secord) Oliver. He graduated from the Saranac Lake High School in 1952. He married Dorothy Darrah on November 22, 1972 in Gabriels, NY. Bob worked at Trevor Farm in Gabriels and as an electrician for many years. After retirement Bob was elected as the Highway Superintendent of the Town of Brighton. He was also a member of the National Guard, working as an Artillery Mechanics Helper, and was honorably discharged in1955 after 3 years of service. Bob was an avid hunter and raised many hunting beagles over the years. He was a lifetime member of the Saranac Lake Fish and Game Club. Bob was also an active member of the Paul Smiths Gabriels Volunteer Fire Department for many years. Bob is preceded in death by his mother, father, wife Dorothy Oliver, three siblings; William Oliver, Ruth Tucker, Mary Shumway, daughter Lisa Oliver, step-daughter Norma Rock, and son in law Paul Moody. 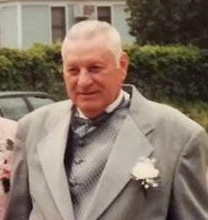 Bob is survived by his sons; Murray (Heather) Oliver and Ronald Oliver, brother Donald (Cynthia) Oliver, step children; Herb (Margaret) Rock, Pete Rock, Alan Rock, Tim (Mary Ellen) Rock, Deborah Moody, Elaine Urbanowicz, and Jane (Bruce) Shanty, granddaughter Hannah, and many step-grandchildren and great grandchildren. Calling hours will take place at the Fortune-Keough Funeral home on Thursday, November 15, 2018 at from 4:00PM to 6:00PM with a memorial service at the funeral home to immediately follow with Rev. Joanne White Officiating. Burial will take place on Friday, November 16, 2018 at Mountain View Cemetery in Gabriels. Friends wishing to remember Robert G. Oliver may make memorial contributions to Paul Smith’s Gabriels Volunteer Fire Department in care of the funeral home. Family and friends can also share their memories and sign the online guestbook at fortunekeoughfuneralhome.com . To send flowers to the family of Robert G. "Bob" Oliver, please visit our Heartfelt Sympathies Store. So sorry for your loss, we send our deepest condolences to all. I am so very sorry to hear of the passing of Bob, my condolences to you all, may he rest in peace.